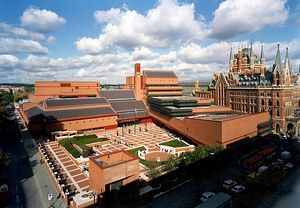 The British Library is the National Library of the United Kingdom. Apart from the 14 million books in its care, this phenomenal building is also home to over a million items from other countries, which include, databases, digital books, drawings, journals, magazines, manuscripts, maps, newspapers, patents, play-scripts, prints, stamps, musical and sound recordings and videos. Every Book In The Country! Originally the Library was the library department of the British Museum; the department of printed books was founded in 1753, the same year as the Museum. The library's initial collection was made up of gifts from Sit Robert Cotton, Sir Hans Sloan, Robert Harley; the Old Royal Library donated by King George II and King's Library of King George III. 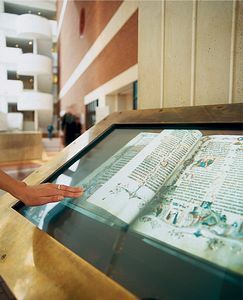 requirement, the British Library receives a copy of every item published in Britain and Ireland. Over the years space became a problem to house such a huge and fast growing quantity of books, maps, manuscripts and related items. Storage had to be found at other locations around the country. Various sites were considered for a new building, but were turned down with objections of size, costs and unsuitable locations. Eventually in 1974 the Government and the Library's Board agreed to consider a site with the frontage on Euston Road, next to St. Pancras railway station. The Government eventually agreed to grant £6 million for the site to become the location of the new British Library. This vast development became prey to rising costs, delays and even changes to its plans, when the Conservative government announced it would only provide funding for the building to be just two thirds of the original plan. Boston Spa in Wetherby, West Yorkshire, and the Newspaper Library at Colindale, north-west London. 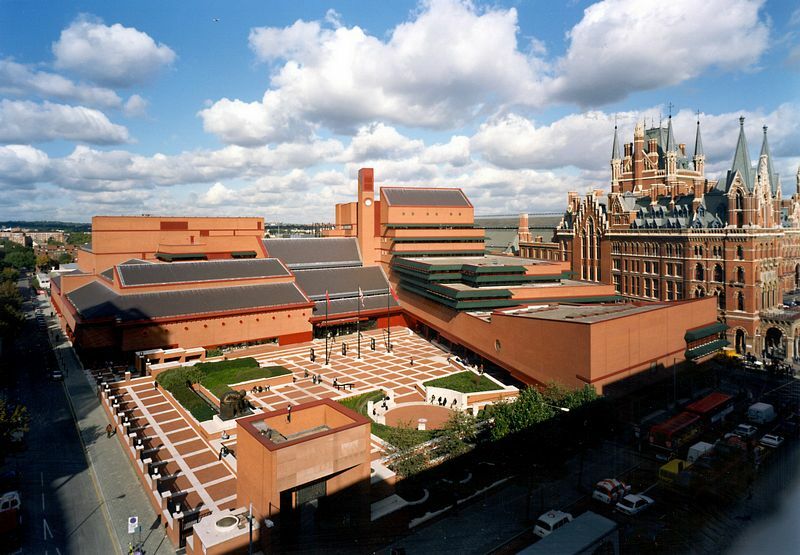 Today The British Library is the most extensive public building erected in the 20th century. It was opened in June 1998 by HM The Queen. It is set back from the busy road by a piazza, which encompasses a cafe and statues. There is a statue of Sir Isaac Newton, created by Eduardo Paolozzi from a painting by William Blake. The Planets, a work by Antony Gormley has been joined by another of his creations "Witness", commissioned by English Pen. The work is cast in iron and depicts an empty chair, which is a poignant reminder of writers around the world, who have been persecuted and imprisoned for their work. The interior of the Library is extensive and light; it is dominated by a wonderful six story glass walled tower containing the King's Library. This is the library of King George III, which was bequeathed to the nation by his son King George IV. This collection is one of the largest and most important covering the Enlightenment period. For most visitors the highlight of their visit is to see the 'Treasures of the British Library', which are held in the Sir John Ritblat Gallery. These are selected by the library and are drawn from the millions of items in their collection. To name only a few are Magna Carta, the earliest copies of the Bible, Toran and Torah, Hindu and Buddhist texts. The Diamond Sutra the world's earliest dated printed book, the Codex Arundel, one of Leonardo da Vininci's notebooks. 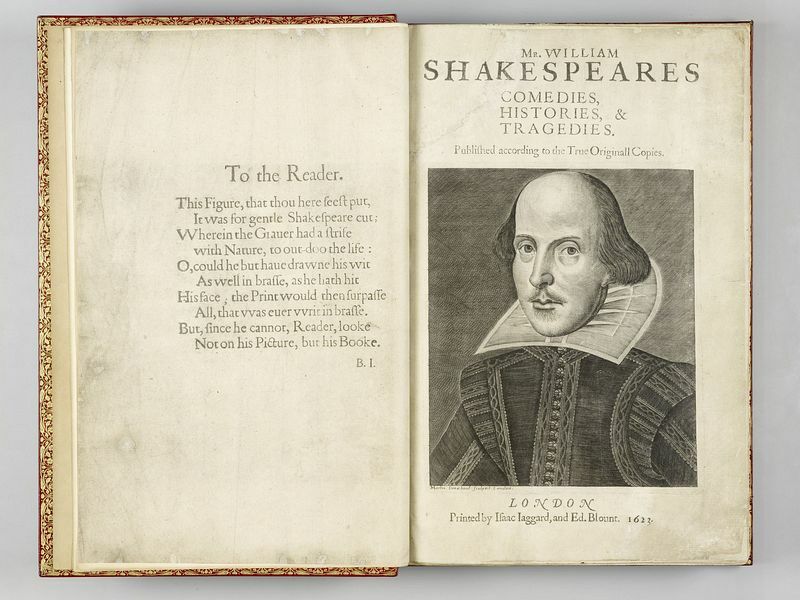 Alice's Adventures Underground and Shakespeare's First Folio. 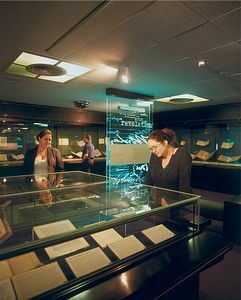 Changes to the collection are made from time to time; it is advisable to contact the British Library prior to your visit if there is a particular item you want to see. 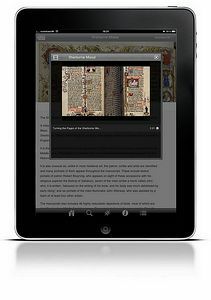 You can visit their website to purchase the Treasures app for iPhone, iPad and Android smartphones. The other permanent galleries include The Philatelic Exhibition on the upper ground floor. Here you will find 80,000 of the world's rarest and most valuable stamps. of years old and require expert conservation. In this gallery you will discover the methods of book conservation, used to prolong the life of those ancient items. Sound restoration techniques are also explained. The Conservation Centre can be reached via the first floor, next to the restaurant. The British Library also presents informative and helpful temporary exhibitions throughout the year. Several Events are held each month, some are free of charge, but others have an admission charge and in some cases may need to be booked in advance. For families the British Library offer a changing programme of interesting events and exciting hands on workshops for school holidays and throughout the year, details of which can be accessed on their website. There are Reading Rooms at St. Pancras, London; British Library Newspapers, Colindale, North London and Boston Spa, North Yorkshire. take two forms of identification with you. Each room specialises in different subjects and are frequently busy, so do plan and if possible order your requirements in advance. 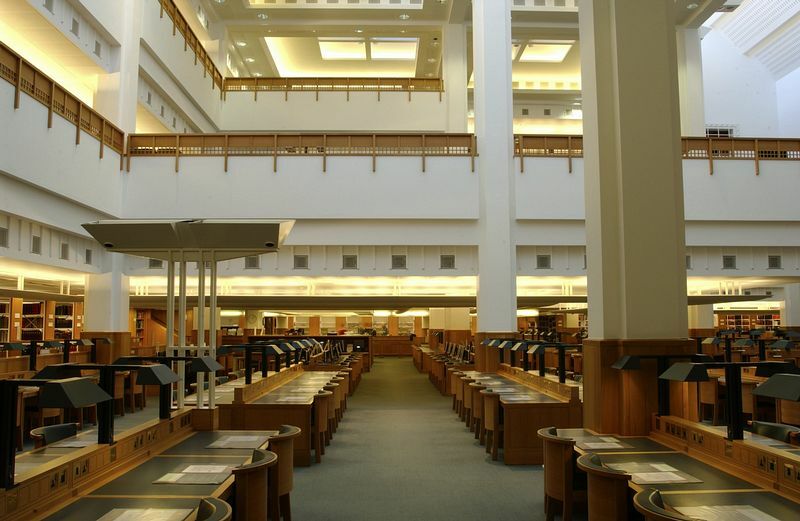 The Newspaper Reading Room has over 140 reader places,14 multi functional PCs which provide access to electronic resources, British Library catalogues and the Internet. The Sound Archives are available from a terminal in the Electronic Resources area of the Newspapers Reading room. 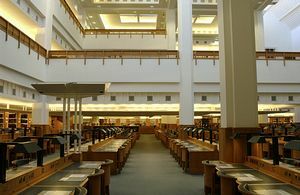 Laptops may be taken into reading rooms and connected to the power supply, however you are not permitted to connect to the Library's network, or download any item from its electronic resources. The Boston Spa Reading Room is open Monday - Friday You are not required to register for a reader Pass. Many items are held in store and should be ordered to the Reading Room. When searching for items use the Library's catalogue, 'Explore the British Library'. The only items that can be viewed are those held at Boston Spa. There are a number of fascinating Tours offered by the British Library, for groups and individuals. More information can be found on their website. Monday - Thursday 9.30 – 20.00 Friday 9.30 - 18.00 Saturday 9.30 – 17.00 Sunday & English Public Holidays 11.00 – 17.00. Monday 9.30 – 17.45 Tuesday 9.30 – 19.45 Wednesday and Thursday 9.30 – 17.45 Friday and Saturday 9.30 – 16.15 Sunday & Public Holidays Closed. Business & IP Centre Humanities, Rare Books & Music, Science, and Social Sciences. Monday 10.00 – 20.00 Tuesday – Thursday 9.30 – 20.00 Friday & Saturday 9.30 – 17.00 Sunday & Public Holidays Closed. Asian & African Studies, Maps, and Manuscripts. Monday 10.00 – 17.00 Tuesday – Saturday 9.30 – 17.00 Sunday & Public Holidays Closed. To use the Reading Rooms for the first time you will need to register for a Reader Pass. Available by appointment in the Rare books & Music Reading room during opening hours. By appointment only, 10.00 – 16.00 Monday to Friday. St Pancras International, King's Cross and Euston. King's Cross/St Pancras, Euston and Euston Square. Services include 10, 30, 59, 63, 73 and 91. There is no onsite parking for the public. The nearest car park is NCP in Judd Street, 10 minutes walk away. Extensive covered and uncovered cycle parking in the Piazza. The best approach from central London is via Tavistock Place and Cartwright Gardens.